On Wednesday, US Defense Secretary Ashton Carter laid out a case for the Pentagon to continue purchasing Russian RD-180 rocket engines, arguing that the US has yet to properly test an operational and cost-efficient replacement to the Atlas V, built by US aeronautics vendor United Launch Alliance, and powered by the RD-180. "We can hold our noses, buy RD-180s until that situation is created and fly Atlases with RD-180s," said Carter. “The alternative is to fly our payloads on Delta, which is technically feasible, but much more expensive. And so that is the choice,” Carter said before a Senate Appropriations defense subcommittee. "And we have chosen the choice of going Atlas, recognizing the distasteful fact that it necessitates purchases of up to 18 more RD-180 engines." 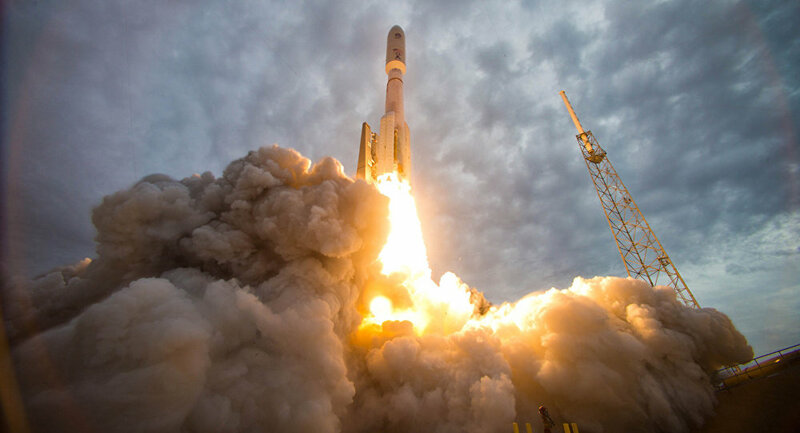 The Defense Secretary’s embrace of the RD-180 represented a direct challenge to the chairman of the Senate Armed Services Committee, John McCain (R-AZ). The Arizona Senator has made it a personal mission to eliminate US purchase and use of the highly reliable RD-180, in order to "send a message to Vladimir Putin." An aging Cold War hawk and former prisoner of war, McCain came under fire on Wednesday when Maricopa County Sheriffs arrested a reelection campaign fundraising employee for operating a meth lab out of her house. McCain’s fundraiser, Emily Pitha, faces charges of narcotics production and distribution, money laundering, and child endangerment as her two small children – aged 5 and 10 – had full access to the methamphetamines and drugs on the premises. McCain also increasingly finds himself at odds within his own political party, now dominated by the overwhelming presence of Donald Trump. Whereas McCain advocates for worldwide intervention, including arming the ‘moderate rebels’ in Syria – a coalition of al-Nusra and al-Qaeda militants – while countering Russian influence in the region to the benefit of Daesh, Trump advocates for a more cooperative relationship with Putin’s Russia. Political analysts suggest that the US Senator, who has served Arizona for 29 years, will not survive his 2016 reelection bid. The Republican Senator faces a challenge within his party from Trump acolyte Kelli Ward, with recent polling showing the race a near tie. In the general election, McCain faces a challenge from three-term Democratic Congresswoman Ann Kirkpatrick, with polls indicating that she may seize a narrow victory. In the face of scandal and electoral challenge, the longtime Senator’s influence on the Hill appears to be waning, with the Pentagon’s desire to keep using Russian rockets another blow to his diminishing power. Will Washington Send Erdogan Long-Range Rockets For Use Against Assad?